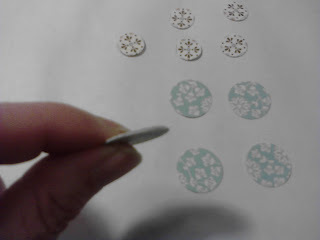 Today I am going to show you how to make your own buttons using Stampin' Up! 's Designer Series Papers. What is better than being able to coordinate your embelllishments on your cards? First, punch out 4-5 circles from the DSP and glue them together using the Anywhere Glue Stick. If you want your button thicker, add more layers. 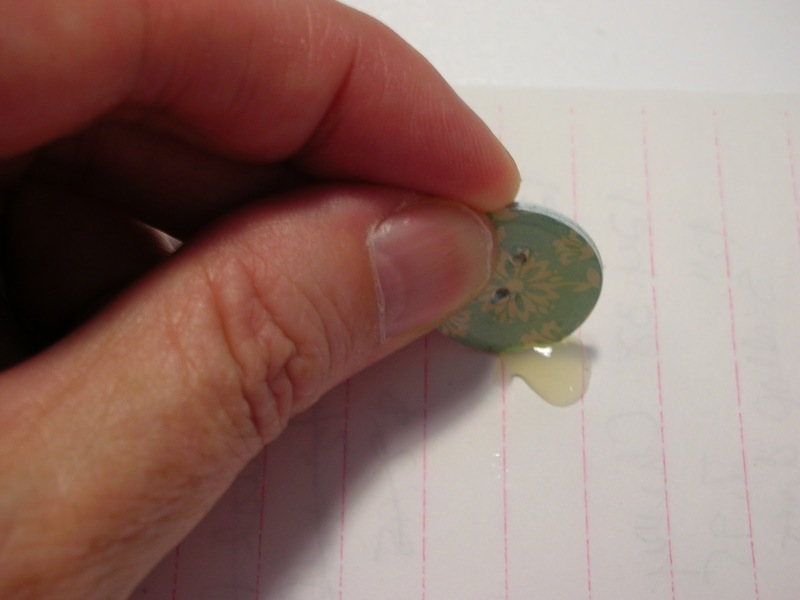 Once the glue has dried, use your Paper Piercer to punch the button holes in your button. 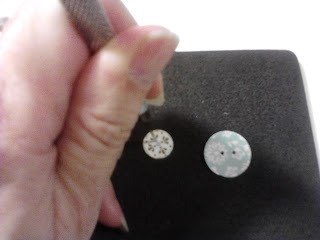 Use the sanding block to sand the sides of your button so they are smooth. 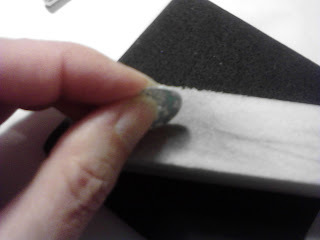 You may also need to sand the back of the button so it lays flat. Pour a little Crystal Effects onto a scrap piece of paper and run the edges of the button in the Crystal Effects to seal the sides. Let them dry - it should only take a few minutes. 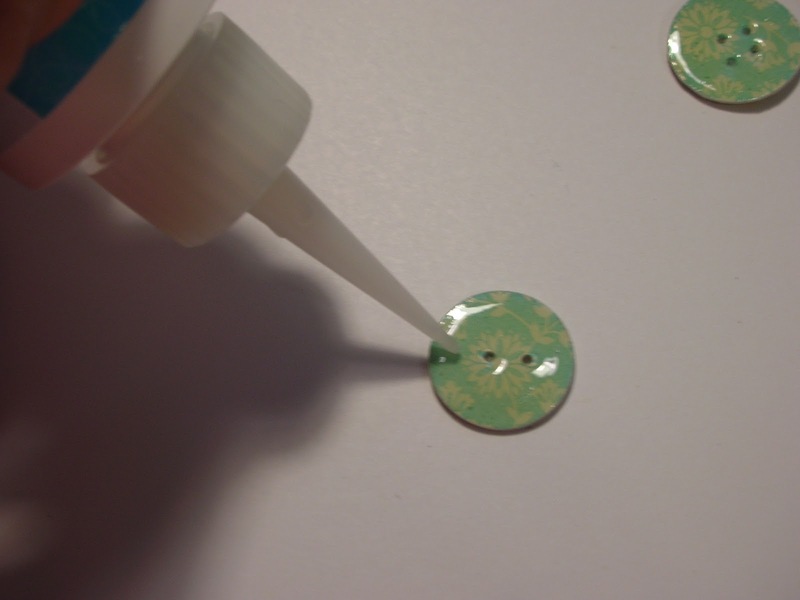 Cover the top of the button with Crystal Effects, making sure that you do not clog the holes. If you do, you can always go back with your Paper Piercer to open them back up. Set them aside to dry. Here's what they look like when you are all done. On the right, I added Linen Thread and on the left, I took the white Baker's Twine and colored it using a marker to match the color of the button. Here's the card I made using the buttons. 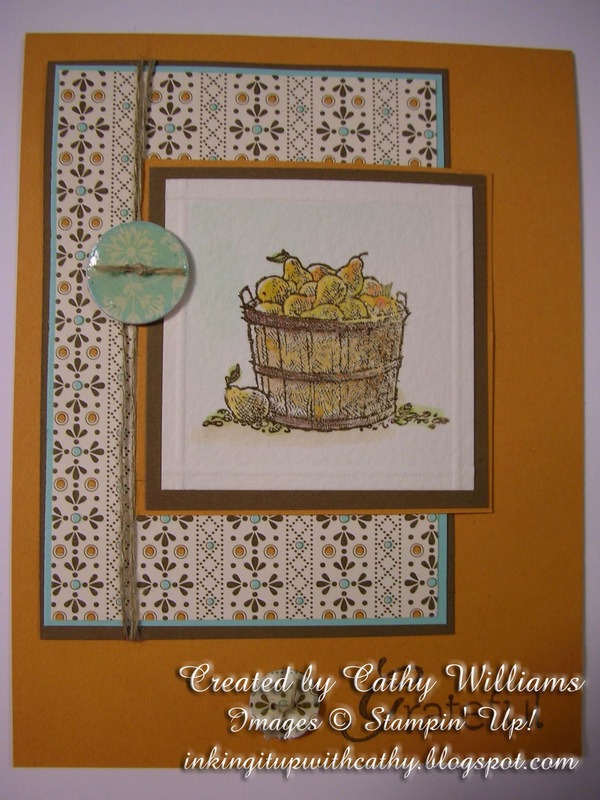 I used a large and small button on the card which I CASE'd from Linda Heller. 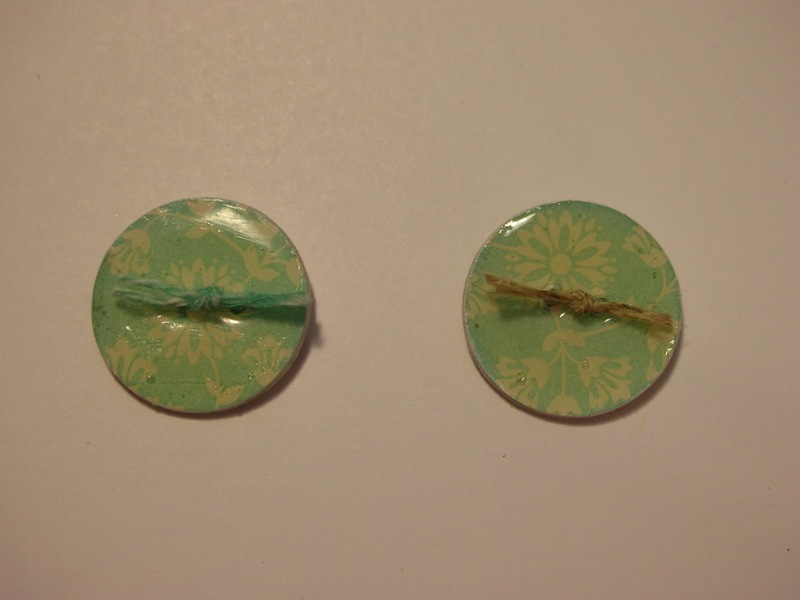 Now pull out all those scraps of DSP and get started making your buttons too! WOW!!!!!!!!! I love it....you are so very crafty!! I will be using this idea on my holiday cards! Thank you so much for the fun ideas....you are so very talented!! Cindy, thank you so much for the compliments! Comments like yours keep me wanting to blog regularly and I need all the motivation I can get! Very neat idea!! And thanks for sharing the easy to understand tutorial! Definitely will be making these! Crystal Effects is a liquid that when it dries gives it a raised glossy sheen. 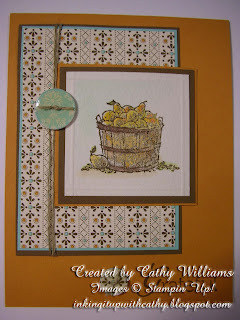 Stampin, Up! 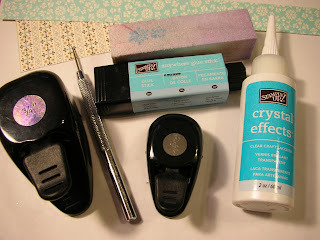 calls it Crystal Effects and other suppliers call it Diamond Glaze. I hope that helps! Thanks so much for the tutorial. Love the finished product and very easy. Thank you very much. I love it! You are great! Donors, thank you for your comments. These are so fun to make. Thanks for the great tip.would this work with the sizzlet button die.